Sometimes you are presented with such a fantastic array of colours you simply can’t pick just one - that is what happened to me at Edinburgh Yarn Festival earlier this year. 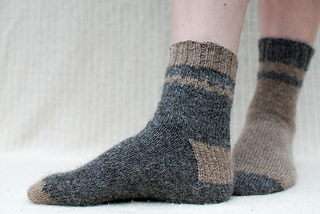 I was introduced to the new Blacker sock yarn and my heart skipped a beat - it was love at first sight. Truly it was … but I couldn’t pick just one colour - that was far too hard. So I picked two and the Lanson socks were born. The sock for those of us who can’t simply choose one colour. Who says you need to stop at two colours? 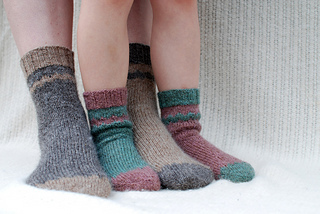 These socks are perfect for playing with colour - pick a few more colours for some seriously fun socks . 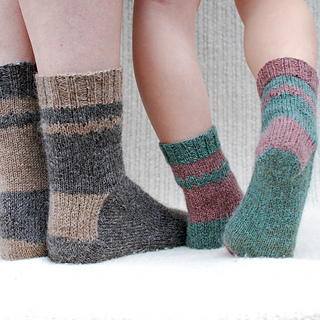 If colourful socks aren’t your thing these socks can easily be worked in one shade. 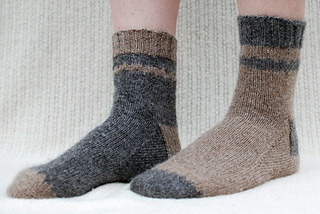 The blend is delightfully warm and makes for a very sturdy sock too! Toe up or top down - that is the question…. You see, sometimes making a decision one way or the other is hard! That’s why I made this pattern toe up and top down. 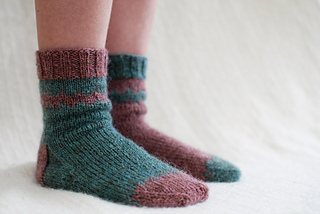 Yardage note: the recommended yardage here is based on knitting mismatched socks as shown. 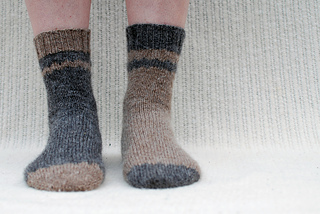 If you want to knit matching socks you will need more of the colour you choose to be the main colour and less of the other colour. Needle note: You may find you need a larger needle to match gauge in the short colourwork sections, please adjust your needles to create an even tension. 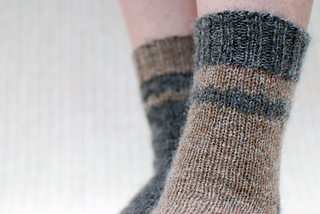 For example when knitting the colourwork on the leg I used a 3mm / US 3 needle. 30 sts and 42 rnds over 10cm / 4in of stocking stitch worked in the rnd and blocked, using 2.5mm / US 1.5 needles. 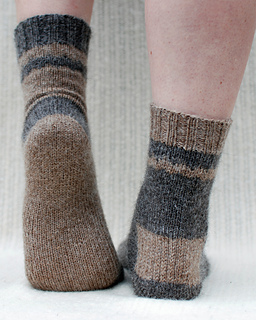 See pattern notes for advice on knitting these socks at a slightly different gauge with finer sock yarn. 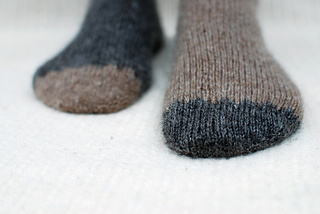 Foot and leg lengths are both adjustable, simply work to desired foot/leg length.